This may have been covered in another thread, but I wasnt able to finding anything that answered my question. Im planning on building a 9mm AR w/ a 7.5 bbl. I was wondering in what way this would affect suppressing the gun? I dont own a suppressor, but am planning on one after i get this build out of the way... and a wedding... either way I know next to nothing about suppressors other than they make loud bangs less loud. 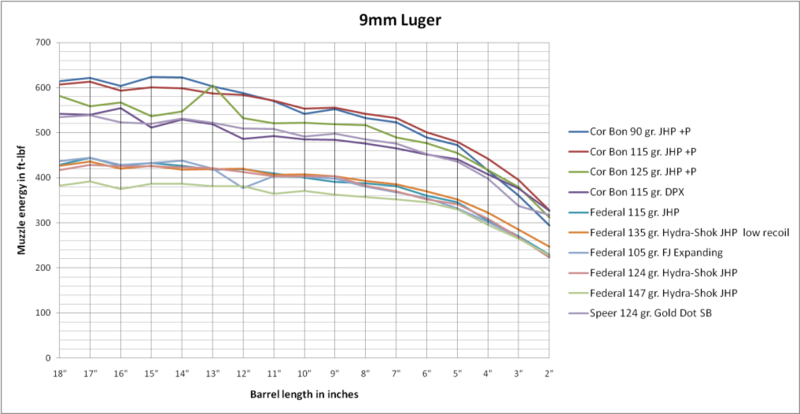 Am i going to run into any issues suppressing 9mm out of this barrel length? Lots of people use a 7.5" barrel and it should stay subsonic with 147gr or larger. I prefer 4.5 cause I wanted a short barrel rifle to be short! And it is suppressed 100% of the time. Standard pressure 147s will be subsonic out of 5" (or shorter). Add a 6-7" can to a 7.5" barrel and you're back up to full size M4 length. As others stated go short if you're planning to suppress. I have a 5" barrel and wouldn't go any longer than that. Run a 10 1/4 Uzi also.. all depend on load make up..
From 4"-10" barrels have proven to work with 9mm suppression reliably. I have a 5.5" barrel and a 10.5" barrelled uppers and have no problems suppressing either. I also experience a less dirty suppressor with the 10" but slighly more blowback/port bark. OP you will be super pissed every time it cracks with the 7.5". I use a 4.5" on my 9 mm shorty's. And I use 147's all the way down to -15 with no crack. Factory loads, or handloads ?? Winchester W 147s go super in my CMMG 8" barreled AR. Fiocchi and PPU 158s stay subsonic and are fairly quiet. I'm tempted to replace the 8" with a 4.5" barrel, but it runs so well now that I don't want to mess with it. Appreciate all the replies. Exactly the information I was looking for. Personally, I'm getting arfcoms favorite: both. Been wanted to do a DOE retro style so I went with the 7.5 while I wait for paperwork to build a supressed 4.5. Most sub guns are around this length. You seem to get the best energy with this length. 5" is good for .45"s.